The mayor of New York City has reached an agreement with Uber, dropping plans for a strict cap on its growth that would have limited the number of cars available in the city. The agreement follows a bitter public feud between Uber and the administration of Mayor Bill de Blasio. The city had blamed Uber for slowing traffic in Manhattan and proposed a 1 percent cap on the growth of Uber and other ride hailing services. Uber shot back with a spoof "de Blasio" mode in its app that displayed the message "No cars available" when a user looked for a ride in New York City. It was meant to show how hard it would be to get rides in the city under the mayor's proposed plan. Under Wednesday's agreement, New York will conduct a four-month study to gauge the effect ride-hailing apps have on congestion. 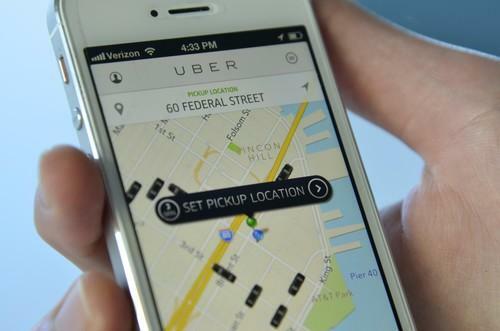 Uber will provide some of its ride data for the study. The agreement provides for Uber to maintain its current growth rate "and not flood the streets with new licenses and vehicles." In a statement, First Deputy Mayor Anthony Shorris said the agreement ensures that the future growth of companies like Uber "matches the values and the interests of New Yorkers." During the conflict with New York, Uber gathered the support of celebrities like Ashton Kutcher and Kate Upton, as well as New York Governor Andrew Cuomo. "I don't think government should be in the business of trying to restrict job growth," Cuomo said in a radio interview on Wednesday. New York City will also conduct a larger review of the entire taxi and ride sharing industries, with a focus on consumer, driver and employee protections, and accessibility for people with disabilities. Ride accessibility has also attracted interest in Massachusetts and California, both of which are seeking data from Uber.